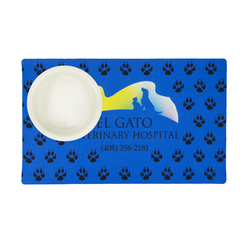 Decorative mat for under pets food bowl, water bowl or fountain. Mat is absorbent and has a waterproof backing that protects floor. Slip-resistant backing keeps mat in place. Washing machine safe & quick line dry. 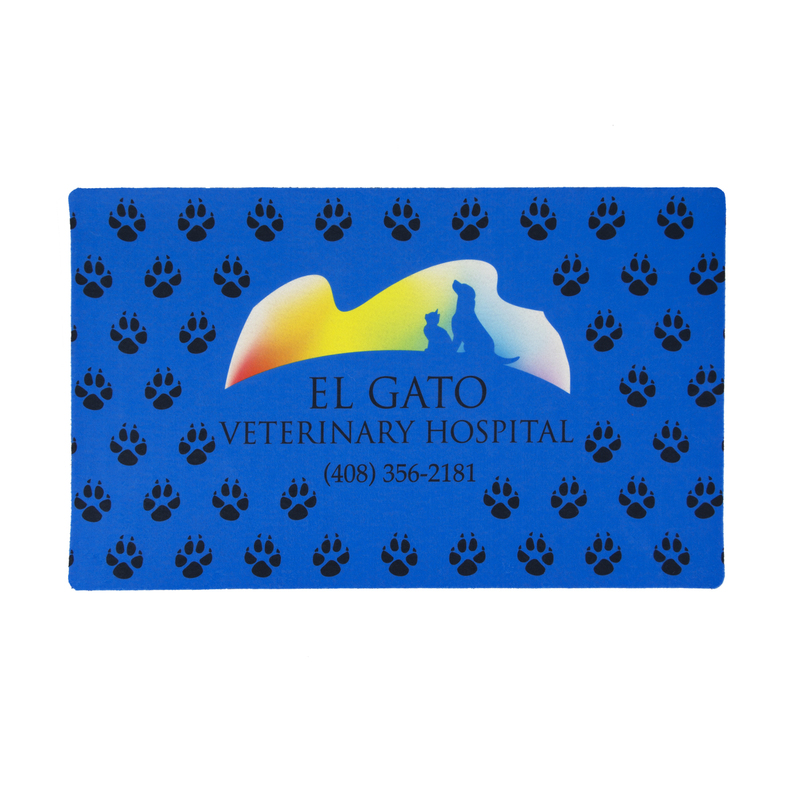 Price includes a full color sublimated imprint. Imprint Area: Full Bleed. Keep copy(text) /logo within recommended live area. See product template.